I am really late with this. Sorry about this long, unannounced hiatus. Combination of a heavy school semester and just lack of motivation put this on the back burner for a long time. Really sorry about that, I can't guarantee a stable release for these but I'll try to get the next few out now that it's the holiday. Since Gokaiger was the 35th anniversary and meant to celebrate how Super Sentai had come to pass, Go-Busters thus feels very experimental and trying to move the series in a new direction. As we can tell with the benefit of hindsight, that didn't totally work out but it's still interesting to look back on. And one of the things that did come out that was Go-Buster Ace who's probably one of the best looking mechas we've had in the past decade. Everything about it from it's colour scheme and it's shape and proportions are both super solid and conveys a sense of sleekness, benefiting of both the cheetah and spy motif. 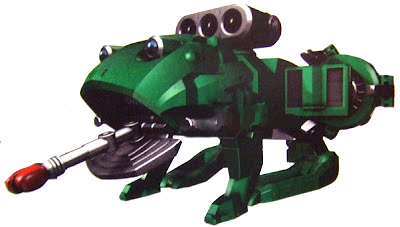 The cheetah and vehicle forms are also really solid. All and all, it was a really bang out way to introduce Go-Busters mechas. Putting these two together cause it reduces the amount of sub sections and both are similar in that they only have an animal form and a vehicle form. Kind of a shame they don't have their own robot forms but adding that on top of everything else would probably be an engineering hassle. Regardless, I still like how both of them look. GT-02 in both modes looks big and burly which is what you'd expect out of something based off a gorilla. RH-03 is the first rabbit based mecha we've had which is cool and the combination of it and a helicopter is inspired. Plus it looks both cute, and could shred you to pieces with those piercing red eyes. I guess I should also point out the Buddyroid head gimmick. It's neat and I like how they become the heads of the animal forms. Go-BusterOh, to put it lightly, is kinda messy. 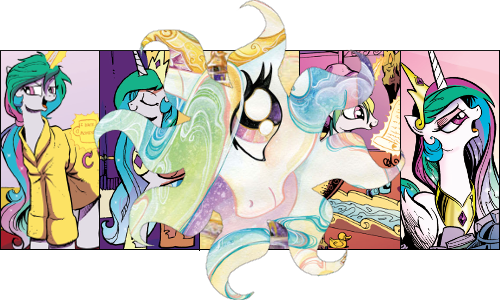 I certainly see what they were trying to accomplish with this design and maybe if they ran it through a few more design drafts it could have been really cool. The core issue I have is that a lot of the design details don't look like they mesh well together. Rather than looking like a single, cohesive mecha, it very much looks like 3 separate components that are trying to become 1. While I don't think this looks as good as Go-Buster Ace, I still like Go-Buster Beet. 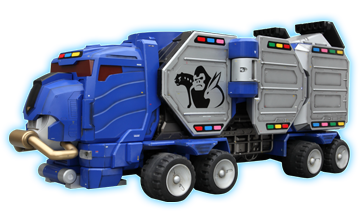 I like the way the colours are spread out across all the form which is something I forgot to mention on Ace who does something similar, where the vehicle and animal forms are predominantly one colour, then the robot mode combines both those colours together. 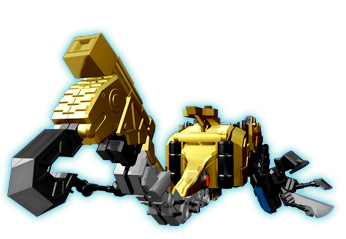 In this case, the crane form is mainly black with blue highlights, the beetle form is mainly gold, and the robot form has both. The crane arm becoming the arms of the robot form is also an ingenious way to deal with it. Putting these two together cause it overall shows off all the individual functions of SJ-04. SJ-04 I find not as interesting as BC-04 since it effectively only has two modes and while I like how both of them look, I wish they pulled the same trick where the vehicle and animal forms have predominantly different colours, which is a criticism I could also give to GT-02 and RH-03. It does however also have to ability to separate into a set of weapons which leads us to Ace Stage Custom. For the most part, it's a neat set of weapons but I also kinda wished to did a little more. Buster Hercules is kinda unimpressive. It's for the most part just Go-Buster Beet with added bits and a new head. This is where I wished SJ-05 did more than just separate into weapons. About the most significant addition it does is the new chest plate. Also the way that Go-Buster Beet's face just splits apart and hang there looks really weird, like I sort of get what they were trying to do but it comes off as just kibble. If Go-Buster Oh looked like 3 components trying to become one, Great Go-Buster very much looks like 5 components trying to be one. It's quite messy to say the least. Like no wonder it's always assembled in the base, it probably would be impossible to assemble this on the field with all the various bits and pieces jutting and sticking out of places. I mean to say a few positives, I like the new arms made from SJ-05, the new face plate is cool, and I like that BC-04 crane arm has been repurposed as a lance. It's just that like with Go-Buster Oh, it probably should have gone through a few more design drafts. 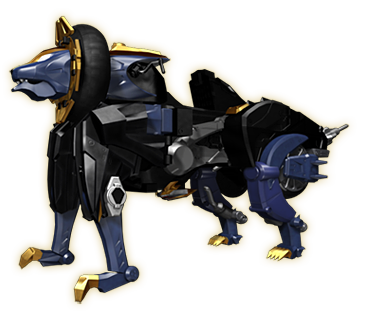 The third Buster Vehicle with it's own robot form and I think it stands toe to toe with Ace. It reaches the same level of being really solid in all 3 of its modes. The use of black, purple and gold work beautifully which help evoke this sense of royalty, fitting for a lion. About the only problem I have is that I wish it had the same level of colour differentiation between all its modes, like CB-01 and BC-04. Also its theme song is killer. 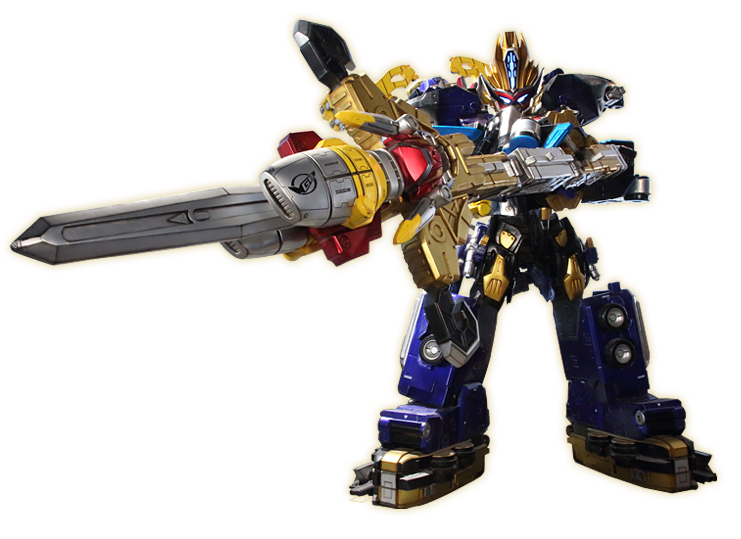 For my money, I think this looks a heck of a lot better than Go-Buster Oh. The design and the way all the components come together just look more solid. LT-06 colour scheme of black, purple and gold flows better with GT-02 and RH-03 colours of blue and yellow. Yes there's a ton of stuff in the back but at least most of it isn't that visible from the front. As a whole, it just looks like an actual solid robot and not 3 components trying to be one like Go-Buster Oh. Go-Buster King, all I can is, that backpack. Just jeez, there is so much stuff just stuck on the back, it's ludicrous. If that backpack wasn't there, I actually would be kinda fine with Go-Buster King. 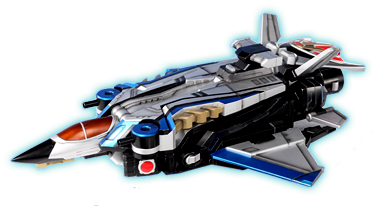 Compared to Great Go-Buster, the front looks far more solid in terms of how all the components combine together, in no part due to it being built off Go-Buster LiOh who I already found to be quite solid. While it does do it's best to hide all the stuff on the back, it still very noticeable and it's pretty obvious that the designers just stuck every piece they couldn't fit on the back. Gonna be honest, I completely forgot this form even existed while writing this. 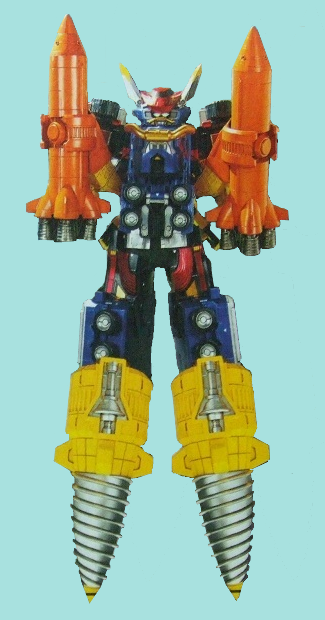 I was tempted to not include this form since it's just Go-Buster Oh with the Rocket and Drill Modules. 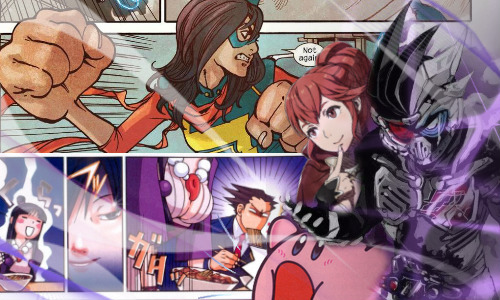 It's a thing I guess and it's neat to see a combination of something from Sentai and Kamen Rider but otherwise, there isn't much to it. 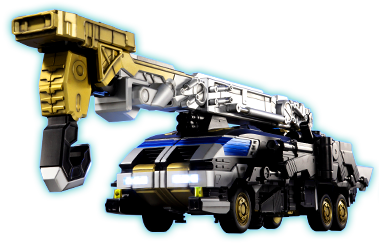 I have a lot of attachment to these awesome machines, and I look forward to another chance to own them with Beast Morphers coming soon. This won't be surprising to anyone who's heard my opinions on Go-Busters, but I love pretty much all of these guys. Even I have to admit that most of the big combinations look somewhat off, but I've always seen that as something of an inevitable consequence of designs trying to emphasize the individual machines as being cool. 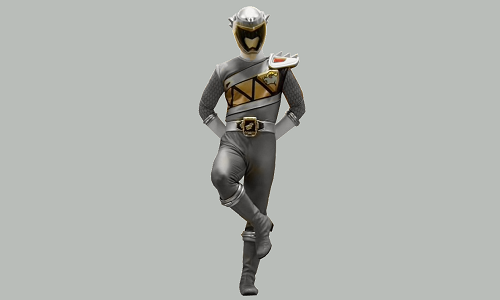 Most Sentai robots that look really cohesive together, especially in recent memory, look that way because there are big chunks of the individual modes that are glaringly meant to be part of a giant humanoid robot, whereas, Go-Buster Ace, for example, just looks like a car when it's a car. There was a clear effort to avoid littering the designs with obvious joints and ports for the combinations, and unfortunately because of that, those combinations suffer a bit. 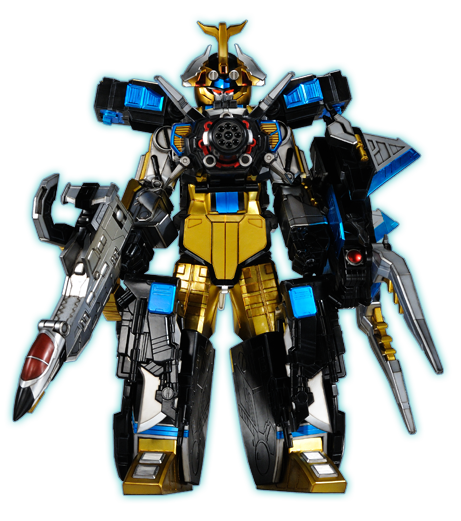 Go-Buster Oh especially, given that's it's nominally the "main" mecha for the team, looks rather haphazard, even with the in-show suit doing its best to make it look more cohesive. Mind you, none of this is enough to prevent me from loving them all. Go-Buster Ace alone is my favorite Sentai mecha bar none (although Galaxy Mega comes this close), but all of them have their charm. Given what a pipe dream a Power Rangers version of Go-Busters seemed like, I have to say, as someone who doesn't quite feel comfortable tossing around cash for expensive import toys, the wait to see what Hasbro is doing with these guys is killing me a little. CB-01 Ace/Go-Buster Ace is beautiful. I feel the OP went pretty harsh on the designs but I'll say this. Go-buster-oh is the closest we've gotten to our Old Mighty Morphin' Original Aesthetic in a long time. It's just got that classic blocky and angular feel we've been missing for decades. 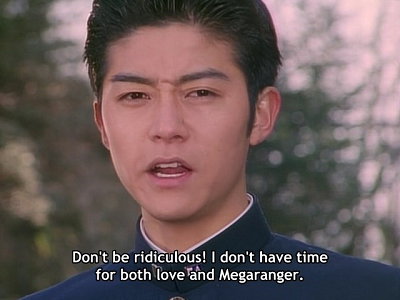 I certainly don't hate any of the Go-Buster mechas. I think there's more misses than hits but collectively, they stand as an interesting period for Sentai in terms of designs and concepts. I like Go-Buster Oh. It's messy design leads to a unique one, making it stand out. So many Sentai mechs feel so uninteresting an uninspired these days, so finding a way to make something your own is nice.